Deaf fans of Nipsey Hussle are looking at NO CLOSED CAPTIONING for his memorial service live airing. There are no indication of where to turn on cc on this app. So disappointed. This app is constantly turning its self off. Won’t load but few stories or just doesn’t work at all. I love the format/layout of the app - nice feed that makes it easy to find what I want. Easy to browse. Gotta get your fix...the industry news is everyone’s guilty pleasure...use this one! This app is really poorly put together. They advertise segments using shorter clips, but then the advertised segments aren’t available. Also, there’s no search function so you can’t find anything if it’s not on the main page. The move to only videos is awful. I like being able to read the story and watch video if I chose to. I will be deleting the app. Terrible update. Viewing content live is not ideal when privacy matters. I’d rather read than watch. 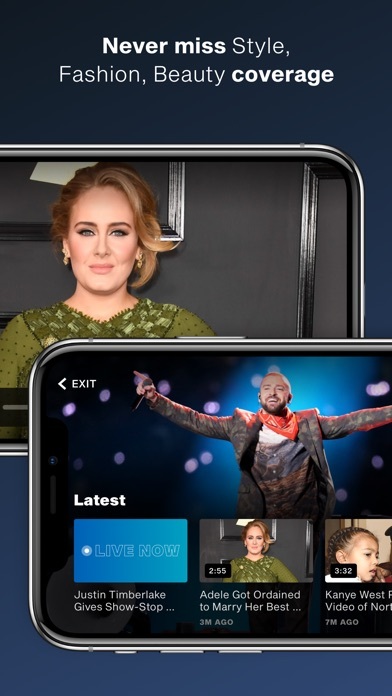 The app changed to “live” broadcast and only videos which is not at all what I want. I want articles I can read and the choice to watch a video. I’m deleting this and finding a different app. Hate the update to live videos. I really prefer to open the app and read. If I want to watch live video, let there be a link in which I choose to do that. I love that the videos play when I open the App. So easy to use! Just deleted. Prefer to read, not watch videos. I fully hearted disagree with this unwanted update to only live videos. I have drastically decreased my usage of the app bc I know can not view the app whenever or wherever I want bc of the unwanted videos. I just can’t sit and read the entertainment news any longer at my free will. It is such a disappointment that the app switched to this without the option to still have written articles. Hate the new unneeded and unwanted update. I don’t like that the app has audio. Not cool. Not ideal for a quick “entertainment fix”. I liked the old app. Not liking “Live” app! I just deleted mine. Hate the LIVE! I do not want to watch a video. I’d like to look at pics and read an article. Total disappointment. I loved the old app and I am unsure how much longer I will keep the new app. It is hard to navigate and I don’t want the live content. If I want to read a story I cannot and the videos are not convenient to watch in public. Please consider bringing back the old version in some form. Will just delete the app. Tired of all of the videos. No option of reading an article the old fashion way. I really don’t like that a video immediately starts playing every time the app os opened now. It makes it very difficult to open when in a quiet area. LOVE THIS NEW UPDATED APP! 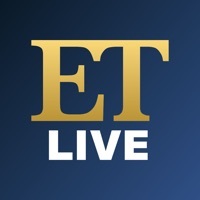 ET Live now provides me with 24/7 updated live pop culture news at my finger tips and I’m absolutely obsessed !!! put more emma roberts content please!! Just deleted my app. I like to read the articles, not watch videos, especially when there are other people around and you don’t want to be rude. Sad they updated. I think this is the beginning of something really fun! I can’t wait to see where it goes and I’m excited to be able to get celeb news all the time!!!! I dont need to see all the video. I can actually read!! I hadn’t checked this app in a while but I just updated it and was pleasantly surprised. They’ve gone from clips and articles to a live stream that looks pretty good. This app barely works anyone. Can someone start working on an update to fix all of the bugs or just delete the app all together? Used to show lots of articles to read and now it shows 2! Maybe 3 if you’re lucky! I was able to overlook the annoying ad pop ups because the articles on the news tab were informative. Now the articles are gone? What’s the purpose of keeping the app? App does not function well. This app never works! Every other day I try and load it and NOTHING happens! You should either get someone else in charge or delete it all together! Waste of my time!! More curious as to why you’ve been posting stories that are 3-5 years old. You have more “old” news than present time news. This app crashes every time I use it. I read two stories then it crashes. Maybe it's time to delete it. Can't read articles without it jerking the text around. And adds keep coming up and when I delete them it doesn't bring me back to what I was TRYING to read. Annoyed and now will delete off my phone. By far one of the best apps..
Woke up this morning to tons of advertisements throughout this app. So bummed! Should be able to view horizontal and vertical. It's like ET is new to the App world.... YOU NEED TO UPDATE YOUR APP! And there was just a new update! Shouldn't have to scroll back up to the top of an article to get back to other stories. This APP has been sub par for years. Fix your glitches ASAP and get it together. ET, you are better than this! I have never written a review before but I have to because I am beyond disappointed since this app recently updated. It is difficult to navigate, has tons of pop up ads, unexpectedly closes among other things. The app before the most recent update was fine. This new one is a disaster.